First there was fire. Then rain. 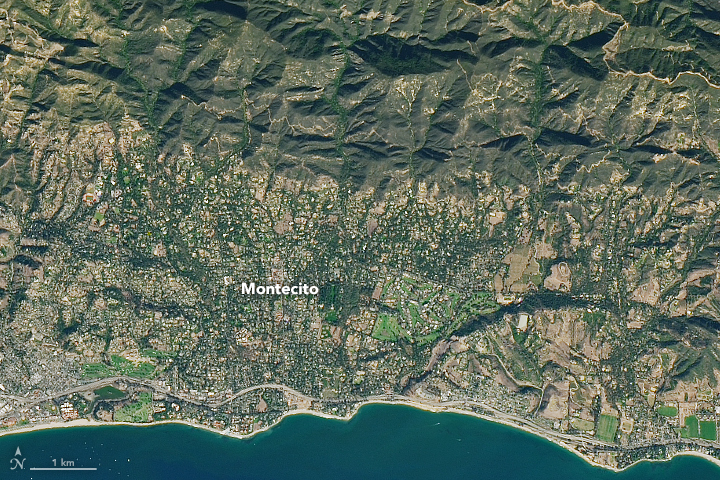 And now deadly debris flows are devastating Montecito, California. More than a dozen people are missing or dead, and at least 400 homes have been damaged or destroyed by fast-moving floods that swept mud, rocks, and charred wood left exposed by the Thomas fire. 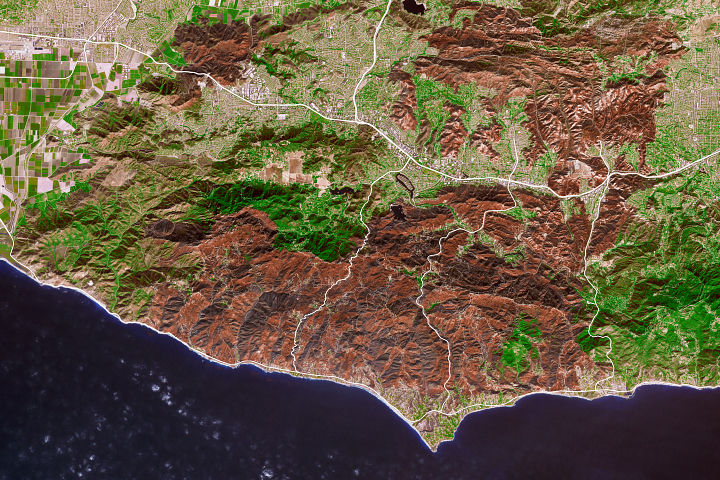 The Operational Land Imager (OLI) on Landsat 8 acquired natural-color imagery of Montecito before and after the fire and debris flows. The first image shows the town on January 10, 2018, after mud and debris tore through the town. The second image was captured on November 23, 2017, before the fire. 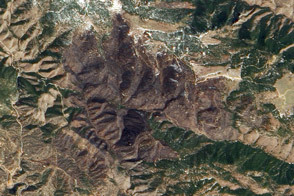 Charred, debris-covered areas appear brown; unburned vegetation is green. Trails of mud and debris are visible along streams well south of the burn scar. Turn on the image-comparison tool to see the differences. 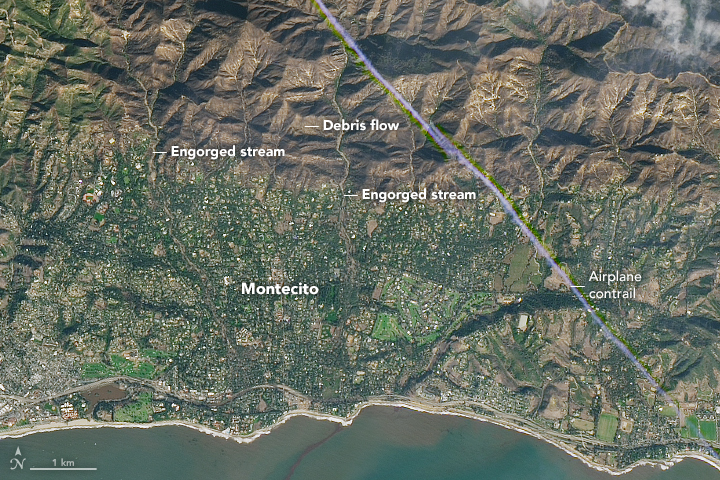 Recent fire activity tends to make flash floods, debris flows, and mudflows much more likely. Plants and trees have numerous protective chemicals with which they coat their leaves to prevent water loss. Many of these substances are similar to wax. Vaporized by the heat from fires, these substances disperse into the air and then congeal over the soil surface when the fire begins to cool. Like the wax on your car, they coat the soil, causing water to bead up and run off quickly. The problem is especially pronounced for intense and long-lived blazes such as the Thomas fire. Another key factor that made this event so dangerous was the rate at which the rain fell. While the total rainfall was not that exceptional, unusually intense rain fell in and near the burn scar at the beginning of the storm. In just five minutes, 13 millimeters (0.54 inches) of rain fell in Montecito. Nearby Carpinteria received 22 millimeters (0.86 inches) within 15 minutes. 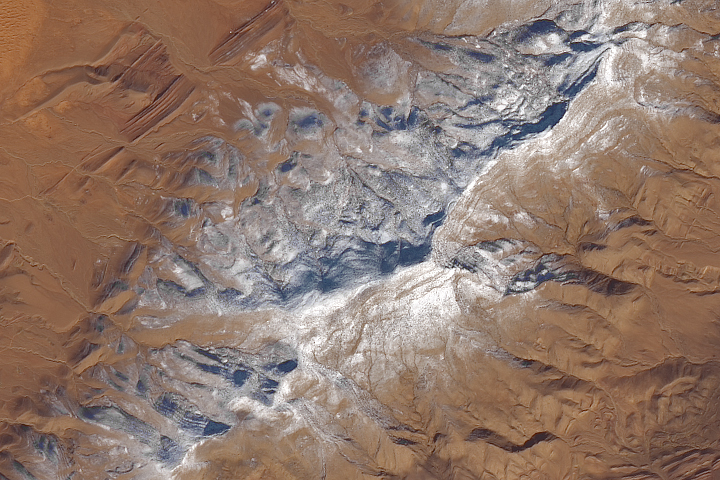 According to the U.S. Geological Survey, any storm that has rainfall intensities greater than about 10 millimeters (0.4 inches) per hour poses the risk of producing debris flows. 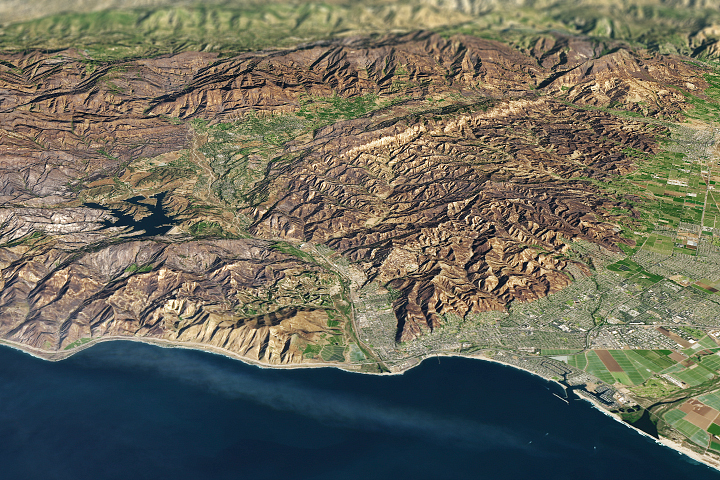 In Southern California, as little as 7 millimeters (0.3 inches) of rainfall in 30 minutes has triggered debris flows. Intense rain following a severe fire sent mud and other debris rushing into the town. County of Santa Barbara (2018, January 10) 2018 January Storm Incident Update. Accessed January 11, 2018. Los Angeles Times (2018, January 11) Many still trapped as death toll rises in Montecito mudslides. Accessed January 11, 2018. Montecito Journal (2018, January 11) A Sad Sad Time. Accessed January 11, 2018. 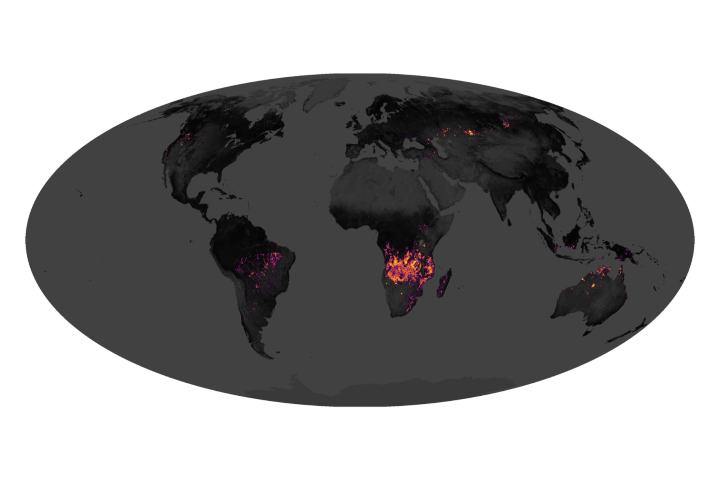 NASA Earth Observatory (2002, October 22) Satellites Aid Burned Area Rehabilitation. 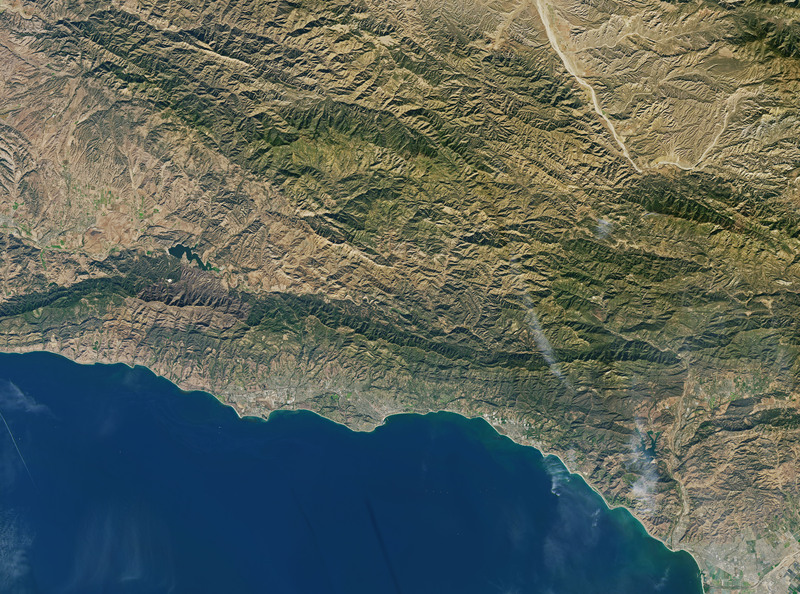 U.S. Geological Survey Thomas Fire (Ventura and Santa Barbara Counties, CA). Accessed January 11, 2018. 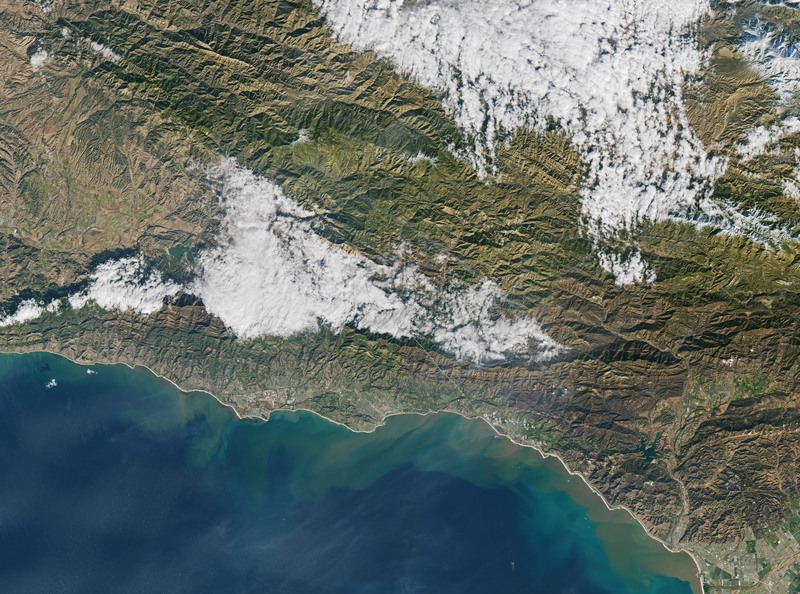 U.S. Geological Survey Post-Fire Flooding and Debris Flow. Accessed January 11, 2018. Weather Underground (2018, January 10) At Least 13 Killed by Flooding, Mudslides in Fire-Scarred Southern California. Accessed January 11, 2018.